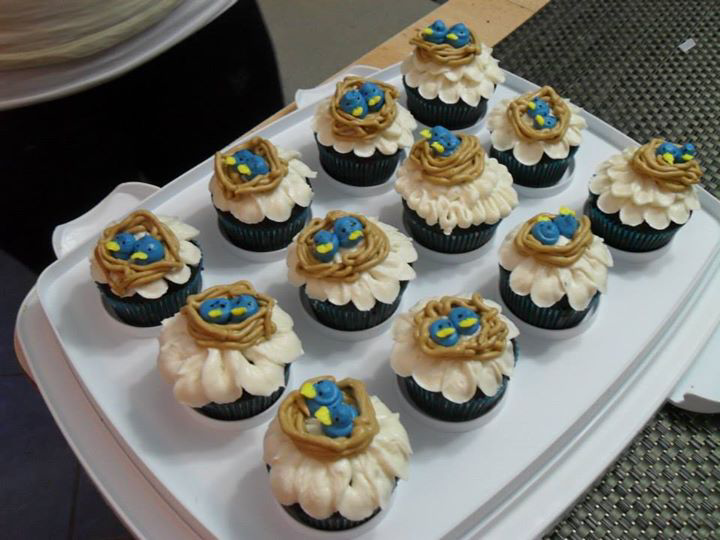 These cupcakes were made to celebrate the birth of twin boys! Icing and decorations: These cupcakes are decorated with homemade chocolate buttercream. 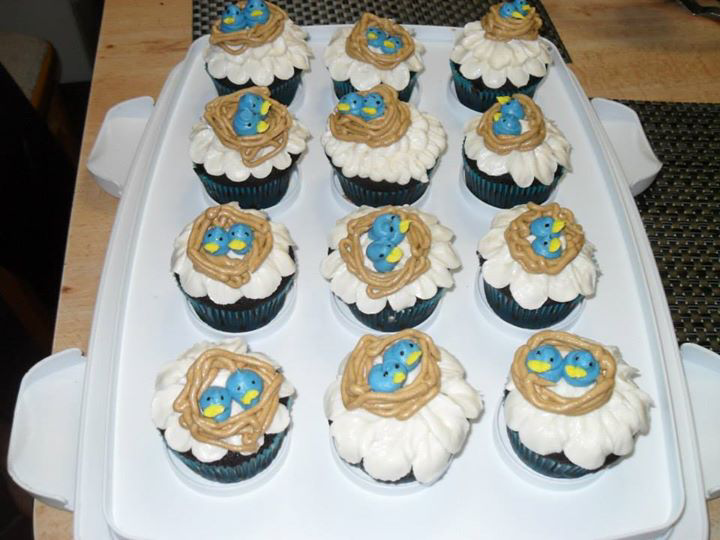 The nests and birds are also made with coloured buttercream.